Drivers Unlimited is the finest luxurious transportation provider as well as Easton specialists. We provide an array of transportation services to meet different client needs and a range of events. Our Easton car service is the perfect transportation solution for all your activities and events in and around Easton. Whether you need transportation to a NYC airport or you have a group of friends looking for a car service to drive you for a night on the town, we have a solution for you. Our knowledge, experience and drive for success and customer satisfaction are all reflected in our excellent service. Let us provide our high-class transportation for all your events including, weddings, birthdays, bachelor or bachelorette nights, corporate events, meetings, appointments and various group transportation needs. Travel in ultimate comfort when you travel with Drivers Unlimited. We are the local experts with inside out knowledge of Easton and surrounding areas. You can trust our team to always provide the most efficient ride by selecting the most optimal routes. We can transport any group size and our team can help you plan any event with our Easton Car Service. At Drivers Unlimited we are known for our reliable service and the luxury experienced when traveling in our top-quality vehicles. Easton limousine service provides the most relaxed way to travel, putting you at ease when you know that our reliable chauffeurs and dedicated staff are giving 100% to get you to your final destination in the most safe and comfortable manner. Our premium service is available 7 days a week, 24 hours a day and is backed by our second to none customer care. No matter where you are headed, we are here to assist you. From the moment you contact our team, we will look after all your needs and take care of the fine details, guaranteeing that you enjoy a safe and efficient trip. We look forward to serving you in the near future. 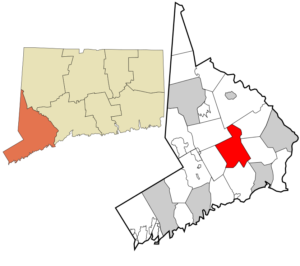 Easton was first settled in 1757 by men and women from Fairfield. In 1762 a congregation called the North Fairfield Society was established, and it gradually evolved into Easton. In 1787 Weston, then including lands now defined as Easton, was incorporated out of Fairfield. The area was slow to develop because of the rough hills along the Aspetuck River, and so it was not until 1845 that what is now Easton separated from Weston. 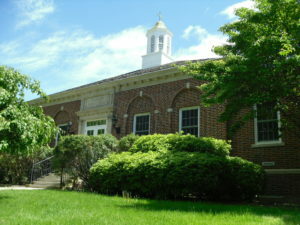 Today, half of the town’s property is owned by the Aquarion Water Company of Connecticut, the major supplier of water in the area. On June 1, 1968, the deaf and blind activist Helen Keller died at the age of 87 in her Easton home, where she chose to spend her final days. Her house is still intact today and has been owned by several families since her death.